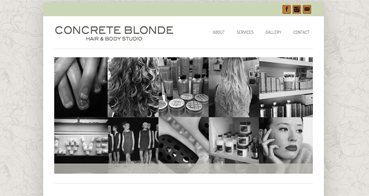 Concrete Blonde, a Squamish based Hair Salon and Spa recently updated their interior ‘look’ so it was time for a fresh site look as well. In celebration of now being a green circle salon member and promoting the amazing product line, Davine’s, CB is a warm and lovely place for some pampering. Call them to book an appointment today!